Select a department to see related questions or select "All FAQs" to see all questions. Q: Why do my sewer charges have to be almost as high as my water? A: CLGW has no way of tracking what water is or is not adding to the sewer system. Therefore, it is billed along with your water usage. Q: Why do we get charged for sewer if our water didn’t go through the sewer? A: Sewer rates were set to have the lowest cost possible by applying sewer charge to all water used. If sewer is not charged to lawn watering, washing cars and swimming pools the sewer rate would be much higher. Q: Why am I charged for sewer when I fill my swimming pool? A: The way water and sewer rates are designed at CLGW all water used is charged to sewer also. Sewer rates were set to have the lowest cost possible by applying sewer charge to all water used. Q: Why is a multiplier put on meters? A: A multiplier is used because the meter samples the flow of the power to the customer and then multiples it to be show accurate usage. There is a multiplier on water because it is measured in 100 gallons. Q: If I think my bill is too high what should I do? If I think my bill is too low what should I do? A: High: The billing department can check water meters to see if you have a water leak. You will also want to look for ways to conserve energy. Too low: It is possible that the meter did not get read during the meter reading. Q: What would cause my sewer bill to be so high? A: Sewer bill is calculated on the amount of metered water. High water usage means a high sewer bill. Q: If a customer is on bank draft, the due date falls on the weekend is it taken out on the Friday or the following Monday? A: We send our information to the bank on Monday. But if the customer uses a different bank than CLGW it normally takes an additional day or two to be withdrawn from their account. Q: Why did I receive a bill if DAEOC is helping me? A: You will receive a bill with the balance due even if it is a zero balance. DAEOC will send a pledge saying they will pay a portion of your bill, but until we actually receive the money penalties will be applied and final notices will be sent. However, if you have a pledge from DAEOC you will not be disconnected. Q: Can we fax information to DAEOC? Q: How much is my part for DAEOC? A: Take the total bill then subtract the electric and gas charges, the remainder will be the part that the customer is responsible for. Q: Why hasn’t DAEOC paid their part? A: Either CLGW has not received anything from DAEOC, or we have only received the pledge from DAEOC and the payment has not been posted. Q: What is the number to DAEOC? Q: How much does it cost to connect utilities? A: Electric, Gas and Water services require a $200 deposit plus a $30 service charge. Water only is a $20 deposit and $30 service charge. Electric or Gas only is a $180 deposit plus a $30 service charge. Q: Can someone come in to connect my utilities? A: Yes. However, you must send a legible copy of your photo ID with a signed statement saying that it is ok to connect utilities. The signature on the photo ID must match that on the written statement. Q: How do I get electric, gas and water to a new building? A: You will schedule an appointment with each department at the building site to provide you with a quote to run new services to the building. Q: Can I disconnect utilities over the phone? A: No. You must come in the office with a photo ID to disconnect utilities. Q: Do you take credit/debit cards? A: We happily accept Master Card, Visa and Discover credit/debit cards. A: Yes. You may pay by check or Master Car, Visa, or Discover credit/debit card. Q: Why am I being charged a late fee because I did not receive my bill until now? A: We send our bills to the post office on the same date every month. CLGW is not responsible for the delays caused by the postal service. Q: How much is my bill? A: As long as your bill has been calculated and mailed out, we are able to view your account balance in our billing system. Q: Can I pay part of my bill this month and the rest next month? A: No. However, CLGW does allow customers four (4) payment extensions a year allowing for three (3) additional days to pay a bill in full. Customers must come to the office to apply for an extension. A: Our customer service representatives will review your bill and note any changes in your usage from the previous month and or year. Most cases of a high bill are caused by more usage due to weather conditions (i.e. AC running more because of hot weather or heater running more because of cold weather). Q: Do you have budget/levelized billing? A: Yes. Levelized Billing is the average cost of usage over the past 12 months, plus 5% to adjust for above average usage during extreme weather. In order to qualify for equal pay, customers must meet the following requirements over the past year: reside at the same location, not more than 2 late payments, no returned checks, no non-pay disconnections, and must use/set-up auto-payments-ACH, Debit, or Credit Cards. 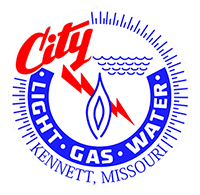 Q: Does CLGW adjust anything off my bill for a water leak? A: It depends on where the leak was and if it has been fixed. If the leak did not go through the drain and it has been fixed, we can adjust off the sewer portion of the bill only. The adjustments are usually based on the past 3-6 months prior to the leak. Q: How much is my old bill? A: You may call our office and we can review our billing system to see if you owe an old bill. Old bills must be paid in full before new services can be connected. Q: What is my heating source? A: The heating source will depend on whether you use electric or gas to heat with. We are able to determine your heating source in our customer service system. Q: Do you offer phone or cable services? Q: What is the fuel cost adjustment and how does it apply to my bill? A: Fuel adjustment is the amount of increase that has occurred compared to a point in time. A reference amount is used to determine how much the price has increased or decreased and this amount is added or subtracted from per unit amount charged to the bill. Q: Is it cheaper to go all electric or all gas or have both? A: It depends on how you use it. Vented fireplaces are not efficient. Using an electric space heater to heat only one room might be less expensive than heating the complete home using the central unit. Generally it is less expensive to have only one efficient heat source. Q: If I don’t have electric heat, why is my electric usage so high in the winter? A: Electricity is used to run the blower on the gas furnace. Q: Does my meter get read every month? Q: What temperature should I set my thermostat on to conserve energy? A: As warm as possible in the summer and as cold as possible in the winter. Q: Why do the tree trimmers trim the trees so far back from the power lines? A: Tree limbs needs to be cut back away from lines to keep from causing an outage. They are trimmed back farther from lines to allow for growth over the year. We also like to have them back far enough so that if high winds occur the branches won’t get into the lines. We learned from the ice storm in 2009 that having limbs back far enough from lines during ice and sleet is essential to keeping the branches and limbs from falling on the lines. A: Many times wildlife (squirrels, birds and even snakes) get into the lines and short them out. Sometimes tree limbs can get into the lines and short them out. Occasionally a vehicle will collide with a pole causing an outage. And Mylar party balloons in lines will also cause a short in the system. Q: Customer has an electric pole and a fire hydrant in side ditch front of her house: the pole has wires running from the ground. Grass is growing around the wires. The yard man is afraid to mow this area. Is it the city’s responsibility to mow this area? A: All wires running down our pole are inside conduit and therefore the wires inside the conduit should be safe to mow and/ r weed eat. We could send someone to inspect the conduit if the customer has concerns. CLGW does not mow or trim around poles and fire hydrants located on or adjacent to private property. Q: Why do we only trim around primary electric lines? A: High voltage lines will short out if they touch a tree. High voltage lines touching trees could be hazardous to people and pets should they come in contact with the tree. The secondary lines are insulated. There is not enough voltage in secondary lines to travel thru the tree limbs. Secondary lines do become rubbed into, in that case we would try and trim the necessary limbs to make access for the lines to go thru. Q: Who is responsible for the clean-up of tree trimming debris? A: CLGW is responsible for the clean-up of routine trimming. The homeowner is responsible for clean up if it is storm related. Q: What causes an electrical line to catch fire? A: A line that has shorted or that is overloaded causes a very high current to flow. A high flow of electrons generates heat and once enough heat is generated there can be a fire. Q: If you see an electrical line on fire should you call the utility company or the fire department? A: Call CLGW first. For the safety of everyone the power needs to be turned off. If the fire looks like it could spread to property or buildings, the fire department should be called. Q: Where does the power in Kennett come from? A: We are part of a power market called the Southwest Power Pool (SPP). Members of the SPP purchase power from the market, which is then transmitted to the town who ordered it. This is where the majority of our power comes from. We also have generators at the power plant which are duel-fueled by natural gas and diesel that are used when prices from SPP are higher than what we can generate. This helps to keeps local power costs down. Q: Why do we purchase power when we have our own generating plant? A: We purchase a base load of power and then use the power plan to meet the peak load. The operation of the power plant is often less expensive than purchasing power during peak hours of usage. This combination of base load purchase and peak generation results in a savings that is much more than the overall operation of the power plant. Q: The excess flow valve is designed to cut off the flow of natural gas if a line breaks. Why won’t it shut off if it is a leak? A: The excess flow valve only works for excess flow. A leak is normally not a large flow of gas but is a steady low flow that can add up to a large usage over the period of a month. Q: Why does there have to be a pressure test done when the gas is off for six months or longer, but there is an exception to this rule if the gas if off for a season disconnect in which the gas might be off longer than six months? A: The purpose of a pressure test is to ensure that the customer’s service lines are able to maintain a safe operating pressure and to ensure the integrity of the line. When gas is disconnected and appliances are moved in and out of a residence, there is potential for damage and or corrosion to the customer service lines. Performing a pressure test for a line that has sat unused for more than six months helps to ensure the safety of the inhabitants. Seasonal disconnects are simply turning the flow of gas back on to the same appliances that were there when the gas was shut off. Q: Where does the natural gas in Kennett come from? A: Our natural gas is supplied to the area via two separate pipelines. The Ozark Gas Transmission Line comes into the area from the west of Kennett, and travels northeast. We take gas from that line at our “Ozark Take Point” near Industrial Drive. The Texas Eastern pipe line is located near Campbell, Missouri. Our “TETCO Take Point” is located west of Campbell. Maps of the transmission lines can be found online at www.SpectraEnergy.com. Q: Why is my water brown? Is it safe to drink? A: Discolored water is an indicator that usually means that there has been a pressure fluctuation within the mains, usually due to maintenance or fire. The brown color is iron and lime scale that breaks away from the pipe walls. Although displeasing to the eye, is safe for consumption. It is recommended that you let the water settle for a few minutes before use to allow the water in the mains to stabilize. Q: Normally, you can hear water running if you have a leak, is there such a thing as a silent water leak? A: Not all water leaks can be heard. Even a commode can be leaking and the sound can be heard only by putting your ear against the water tank. Q: Can you walk inside the sewer lines? Q: Can CLGW clean out the sewer? A: CLGW maintains our sewer mains. We are able to clean out our sewer lines but not the customer’s sewer service lines. Q: What should the water pressure in Kennett be? A: Average pressure is 50 psi. Pressures can fluctuate throughout the day based on demand. Q: Why is my internet running slow? A: When a webpage or server is accessed there is a handshake that takes place. You are downloading information and the remote web server is uploading information to you. If the server, such as youtube.com, is not able to service your request, they may be having problems uploading videos then you may experience buffering. The website or server that you are connecting to could be limited either on upload speed or the network that they are on could be saturated. Q: Are speed tests on the internet accurate? A: The results of the speed test are based upon CLGW’s network AND the test sites network. Meaning that if the results are not what a customer expects, the problem could be on CLGW’s network or the test sites network. The capacity of the network where the test location is could be congested OR CLGW could be congested. A lower than expected speed test result does not diagnose the problem as being on CLGW’s network or the test end point. Therefore, if the location that you are testing to is maxed out, then the results will be lower than expected. Q: How much is the connection cost to for internet services? A: Connecting to the CLGW’s fiber internet is free with the exception of the $19.95 package then there is a $75.00 setup fee. Not only is there no connection cost, if you are a new customer, you will receive a free month and as always, there are NO contracts to sign. Q: Why does the $19.95 internet package have a $75 setup fee? A: The installation costs required to connect a customer make it difficult to recover the costs at $19.95 per month so a fee of $75 is added to help offset the cost of the installation. Q: Are you digging for gold in the manholes?